In addition to the new office space, Apple Park is also going to have a big theater with a thousand seats. To honor Steve Jobs’ memory (and probably his masterful skills when it comes to product introductions), the building is going to be named the Steve Jobs Theater. The roof of the 2.8 million-square-foot main circle building is covered with solar panels. This way, the building is powered by 100 percent renewable energy. 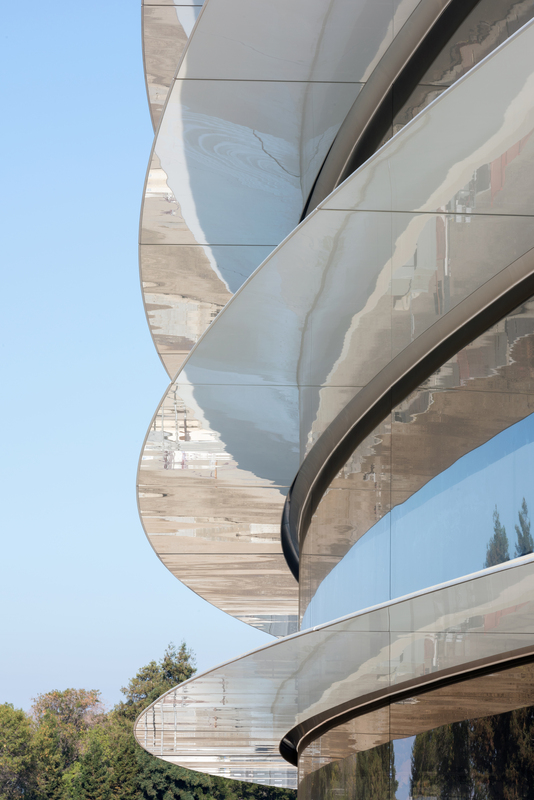 The building follows Apple’s aesthetics with giant glass panels, minimalistic lines and geometrical shapes. There will also be a ton of trees, a big fitness center, a visitor center with an Apple Store and café. But my favorite feature is the ventilation system. It’ll be a naturally ventilated building so that it doesn’t require any heating or air conditioning for nine months of the year.